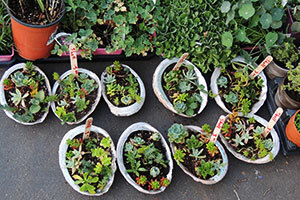 Plant Sales: The Valley of the Moon Garden Club puts on two large, public plant sales each year in the spring and fall. 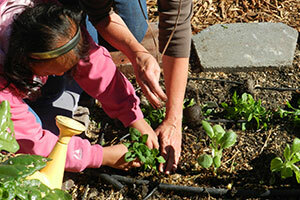 School Gardens: Members volunteer at Sonoma Valley schools to assist in creating and maintaining the gardens and to assist garden coordinators in working directly with the students. 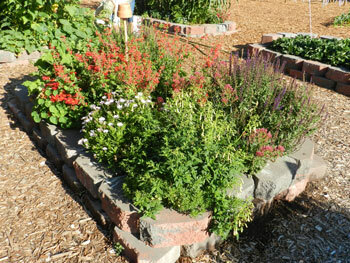 Hospital Garden: Members have created and weekly maintain the Tranquility Garden at Sonoma Valley Hospital. 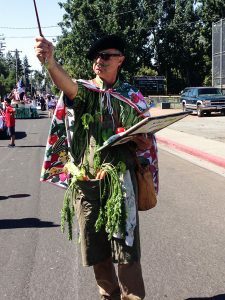 July 4th Parade: The Valley of the Moon Garden Club participates enthusiastically in Sonoma’s yearly parade by handing out thousands of packets of California Golden Poppy seeds to parade viewers. Members have created several winning entries that earned Best in Category and Grand Prize for the parade. Trashion Fashion: Club members have participated in Sonoma’s fashion runway event to make outfits from recycled garden materials. Viewers commented on the club members’ creative and fun approach. Scholarship: A scholarship was given to a graduating high school senior in the horticulture department. Books for School Libraries: The club donated gardening and environmental books to all seven elementary school libraries in Sonoma Valley. 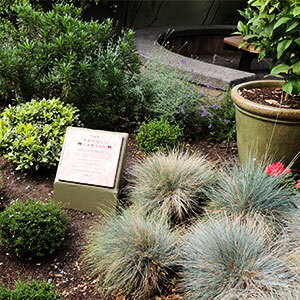 Member Garden Tours: Several members each year open their gardens for the club to tour, with a party at the end. Plant Program: The club provides school gardens and some non-profits with thousands of starter plants on a weekly basis for nine months a year. Food Preservation: Members organized a class on canning, freezing and drying produce for the public. Flower Show: Members brought in single stems and arrangements for public viewing to the Sonoma Community Center. Many of these arrangements were then taken to a local elder care facility.